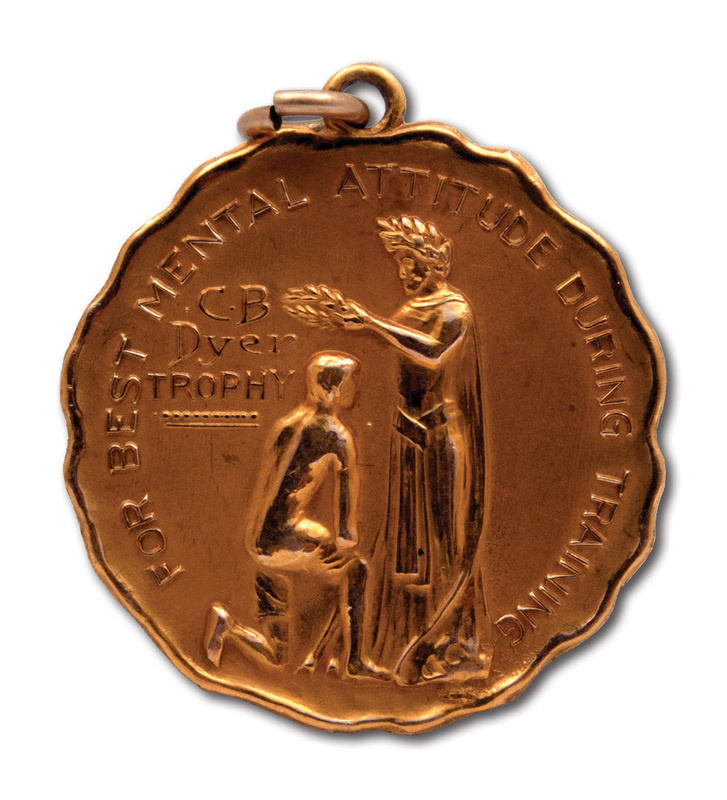 This elegant gold medallion was presented to Oscar Robertson for his “Best Mental Attitude During Training.” One look at Robertson’s long career, stretching from his high school days through college and the Olympics and then his NBA days, shows how a devotion to training kept him physically and mentally fit through more than three decades of basketball. The 1/10-karat gold-filled medallion was made by the C.B. Dyer Jewelry Company (hallmarked on reverse) and depicts an Olympic athlete being crowned with a laurel wreath. “CB Dyer Trophy” is inscribed on the obverse along with the award title. 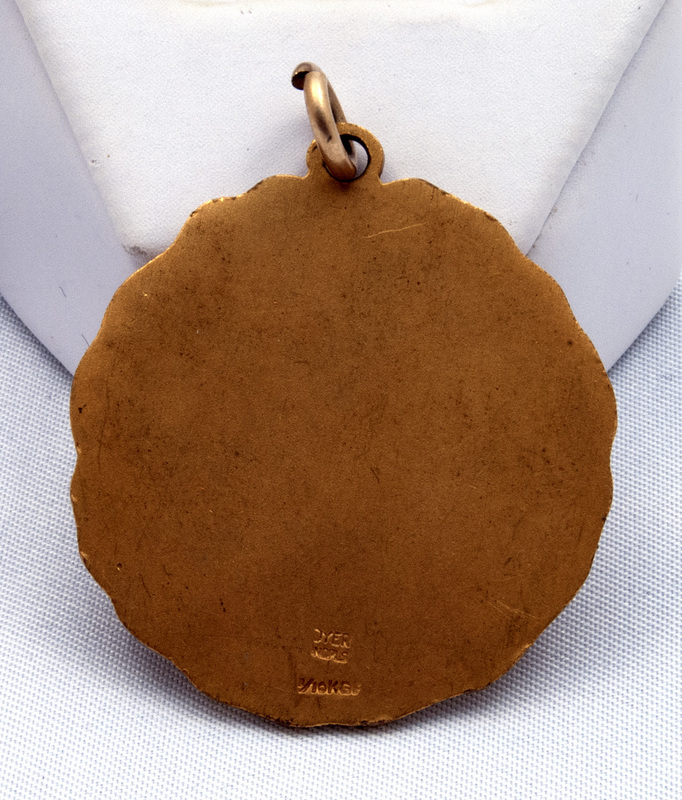 Measuring 3 cm in diameter with a weight of 8 grams, the medal shows some surface scuffing, particularly on the unadorned reverse, yet remains in extremely fine condition on the obverse and overall. Includes LOA from Oscar Robertson.